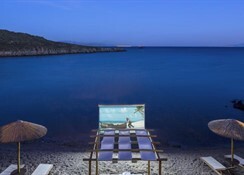 This stunning hotel is beautifully situated in Mykonos- Greece- and enjoys an idyllic setting- just a short distance away from the beach of Casa Del Mar. 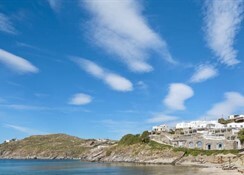 Guests can explore the essence and intrigue of Mykonos Town just 4 km away from the hotel. 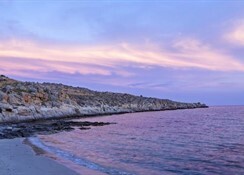 This luxurious hotel boasts a spectacular architectural style- coupling traditional Grecian features with modern elements. The hotel greets guests with the promise of decadence and splendour. The guest rooms are tranquil and relaxing- decorated with crisp whites and complemented by modern furnishings. The hotel affords guests an endless array of excellent facilities- catering to their leisure- dining and entertainment needs. Guests can enjoy a refreshing swim in the pool or indulge in an invigorating workout in the hotel gym.